Hyderabad-based Eimor Customs has modified a Royal Enfield Thunderbird 500 into a Japanese-style hot-rod bobber with an amalgamation of café racer ergonomics. The motorcycle is christened 'Nikko', which is Japanese for 'Sunlight'. 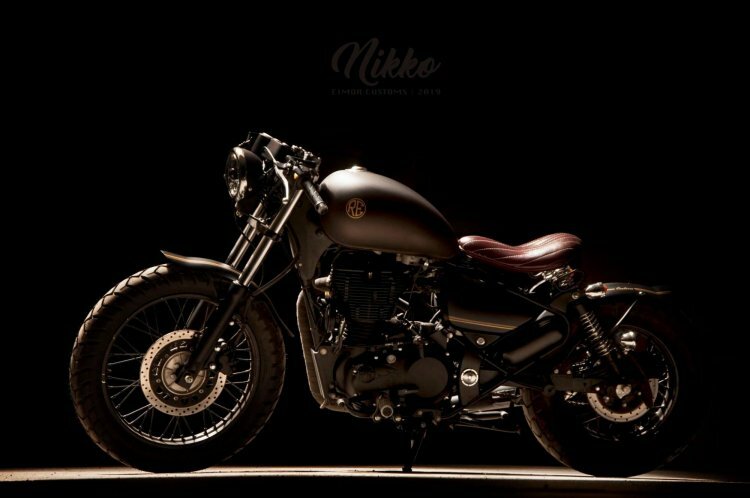 Eimor Customs has amalgamated the hot-rod bobber design language with cafe racer styling for the custom Royal Enfield Thunderbird 500. While Eimor Customs' previous designs inspire the look of the bike, this particular model takes the uniqueness to an altogether different level. The custom builder has used a clean design without going overboard with the paint or graphics. The modified Royal Enfield Thunderbird 500 bobber features a smaller 5.5-inch round LED headlight, chopped fenders at both the ends and a tan-brown leather-wrapped single-seat. The stock fuel tank, side panels, and wire-spoke wheels have been retained. The motorcycle uses a clubman-style 'café racer' handlebar and custom-made instrument cluster with a speedometer, fuel meter and an ammeter. The wheels on the hot-rod bobber are wrapped with dual-purpose wide-profile tyres. The custom Royal Enfield Thunderbird 500 bobber gets aftermarket LED turn indicators, while the number plate holder and taillight are mounted on the left rear suspension. The bobber racer features a matte brown paint scheme with matte black detailing to the engine, side panels and the wheels. The modified Royal Enfield Thunderbird 500 Bobber features a clubman-style handlebar, single leather-wrapped seat, custom-made instrument cluster and chopped fenders. 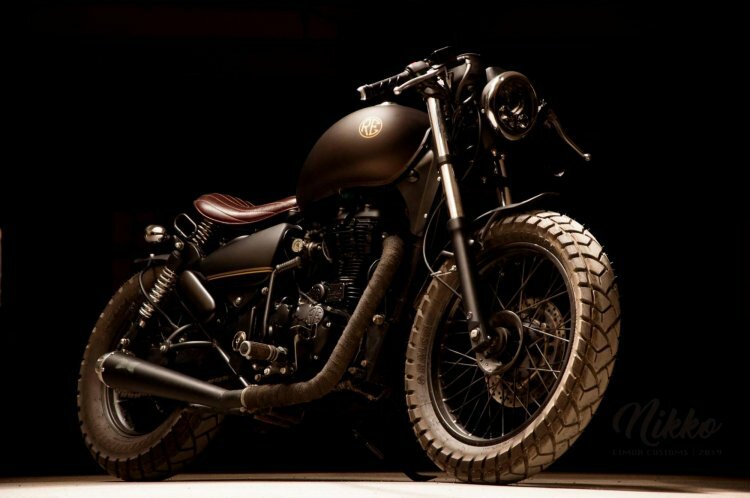 The bike features a matte brown paint scheme with black detailing. Eimor Customs hasn't revealed any details about the engine, which makes us believe that it uses a stock powertrain. The 499cc single-cylinder, fuel injected motor is good for 28 bhp of power and 41.3 Nm of peak torque.